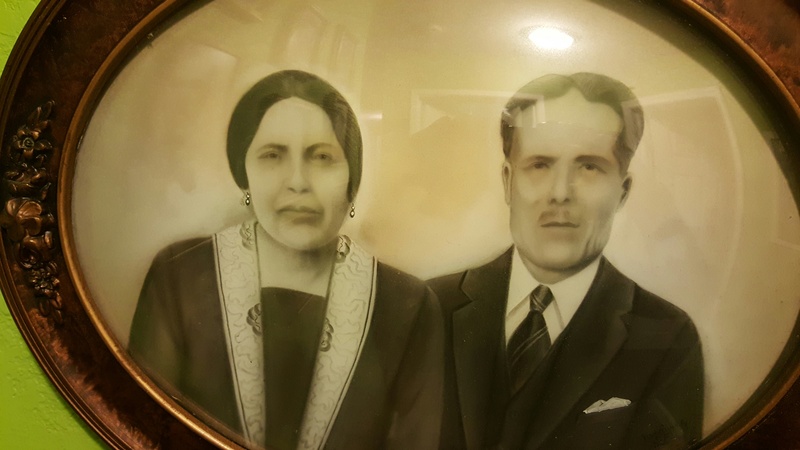 Candelaria Marin Hernandez and Mariano Vargas Ramos were born in Mexico and came to the United States after their children had immigrated and become established (family lore says that Candelaria insisted on moving after the birth of her first grandchild, George Gullicksen). I wrote about them before, after seeing a great portrait of them hanging on the wall at Cousin Rose’s house. This photograph is from Rose’s sister, Cousin Carmen, from when we had a get-together ancestry day and swapped stories and photographs. Candelaria was born in Ameca, Jalisco, Mexico in about 1869 and she died of uterine cancer in San Jose, California, on August 19, 1930. Mariano was also born in Ameca in November, 1870. When they lived in Mexico, he was a door-to-door salesman and also sold goods out of a small shop on the side of their home. He died during surgery for a bladder infection in Mexico City, D.F. on February 14, 1931. They would have been married before their first child, Atenogenes, was born in 1901; although, I do not have an exact date. They had nine children over a span of 19 years: Atenojenes (1901), Carmen (1906), Genoveba (1907), Guadalupe (1909), Consuelo (1912), Nieves aka Nancy (1914), Luz aka Lucy (1918), Alfonso (1919), and Luis (1920). 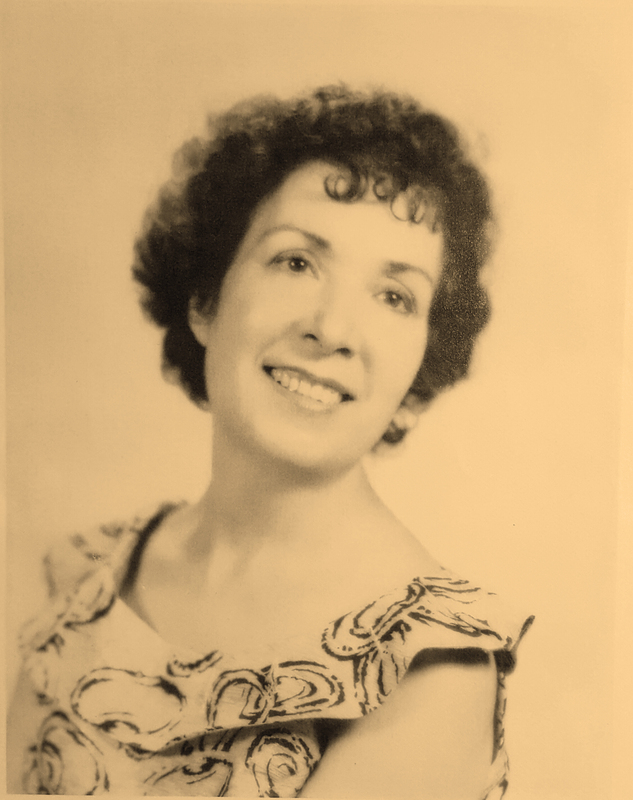 My great grandmother, Carmen Vargas Marin, immigrated to the United States from Mexico in the 1920s. She was born to Mariano Vargas Ramos and Candelaria Marin Hernandez on July 4, 1906, in Ameca, Jalisco, Mexico. She entered the U.S. through Laredo, Texas, in 1925, and married Pvt. Otto Gullickson in Harris County, Texas in 1926. By 1927, they were living in San Francisco, where their first son George Gullicksen was born. In all, she bore four children: George, Lillian Gullicksen (1929), Carmel Gullicksen (1934), and Charles Hubert Gullicksen (1940). She was noted in the 1930 census as living at 88B Chenery Street in San Francisco, where they paid $25 rent and lived with George and Lillian. It was also noted that she spoke Spanish in the home. My mother remembers her as a very nice woman who would usually dye her hair a dark red. Once, something went wrong with the dyeing process and it was instead colored a bright fuchsia ahead of a family gathering. Carmen passed away on October 30, 1984, in Santa Clara. 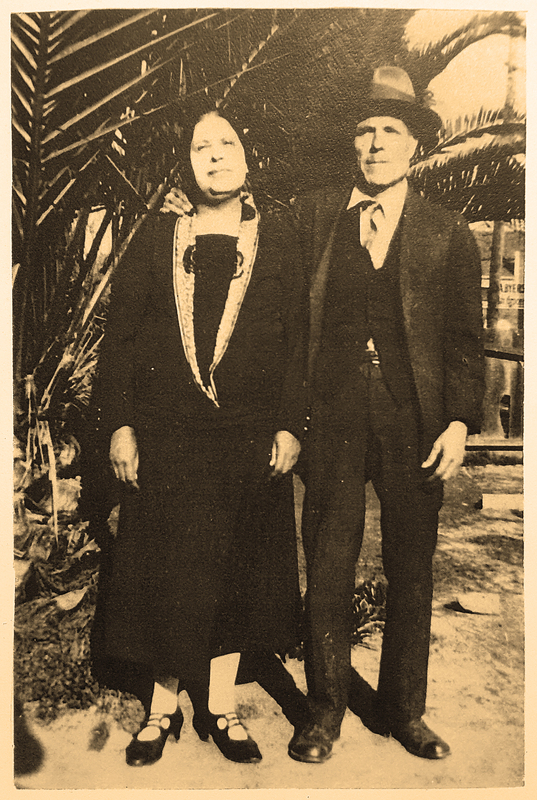 Portrait of Candelaria Marin Hernandez and Mariano Vargas Ramos. I was very excited to see this portrait on the wall of my cousin’s house at her holiday party last night. Cousin Rose each year hosts a Christmas party and this is the first time in recent memory that I have been able to attend. At first, I wasn’t sure how old the portrait was and if the man pictured was Rose’s father, Atenojenes Vargas Marin, or his father Mariano Vargas Ramos. Cousin Rose, though, confirmed the man and woman were her grandparents, not her parents, making this image a rare one, in my opinion. Candelaria Marin Hernandez was born in about 1869 to Miguel Marin and Rosa Hernandez Lopez in Ameca, Jalisco, Mexico. She had three siblings I know of: Maria, Jose, and Luis. And she had nine children: Atenojenes (1901), Carmen (1906), Genoveba (1907), Guadalupe (1909), Consuelo (1912), Nieves aka Nancy (1914), Luz aka Lucy (1918), Alfonso (1919), and Luis (1920). Candelaria was married to Mariano Vargas Ramos, who was born to Francisco Vargas and Maria Aniceta de Jesus Ramos Villanueva in October of 1870, also in Ameca, Jalisco, Mexico. He was baptized the following month. “In the parish church of Ameca, on the 4th of November 1870, I the Rev. Don Bernardino E. Topete, solemnly baptize: Mariano, 20 days old, born in this city; natural son of Francisco Vargas and Aniceta Ramos; and grandson by paternal line of Jose Maria Vargas and Lugarda Ramos; and by maternal line of Jose Maria Ramos and Victoria Villanueva. And his godparents were Prisiliano Villanueva and Marcelina Castillo, who were advised of their obligation and spiritual relationship. Cousin Rose also had a story about the photo. Rose and cousin Consuelo were very close. When Consuelo was on her death bed a few years back and Rose was taking care of her, Consuelo would ask for her parents. With few options, Rose would show her this portrait and it seemed to bring Consuelo comfort. When I picked up the phone in late February and dialed a number 20 years old, I hoped the person I was looking for would answer, but I knew it was a long shot. So you can imagine my delight when Gloria Delgado [n. Calvillo], the woman I was trying to track down, picked up. I had in my possession a Family Group Record that Gloria had compiled for one of my great aunts, and I told her how I was trying to look into my family ancestry and asked if she had any information she would be willing to share with me. Did I speak Spanish she wanted to know? Did I know how to read Latin? Sadly, after four years of high school Spanish, I cannot claim to speak or read either of those languages. But Gloria sounded excited to share what she did have, so we exchanged information and she told me she’d try to get back to me after tax season. Over the past few months, I found a couple emails in my inbox from Gloria — her letting me know that she was still planning to send information my way and that she hadn’t forgotten about me, and that she was having great success in tracking more details and original documents down. Which makes sense, because not only does Gloria know more languages than I do, but she’s been doing genealogical research longer than I’ve been alive. And luckily, my family, Gloria said, was much easier to track down than her own. It’s quite a hefty binder, containing about two hundred years of records of my family’s history in Mexico. Not only did Gloria find and photocopy the original documents, but she typed out the cursive and then translated everything. (Needless to say, I will be sending her the biggest box of chocolate I could find at See’s Candies.) It’s been quite exciting to go through, but with a lot of the research done already, I wasn’t quite sure what to do with it all. Then, I just decided to start mapping. I don’t know a lot about Mexico and if I’m going to start learning, I decided to pinpoint the regions in which my family was more highly concentrated. To see the hybrid map layering both in Google Map Maker Lite, go here. And you can expect more details on all these people in the coming months! And, because I had a fun time figuring it out, Gloria and I are related like this: My great-great-great grandfather Miguel Marin Rosales [born 1848 in Tequila, Jalisco, Mexico, to Casimiro Marin and Manuela Rosales] and my great-great-great grandmother Rosa Hernandez Lopez [born 1853 in Ameca, Jalisco, Mexico, to Jose Nepomuceno Hernandez Ramos and Maria Petra de Jesus Perez Robles] are also Gloria’s great grandparents. 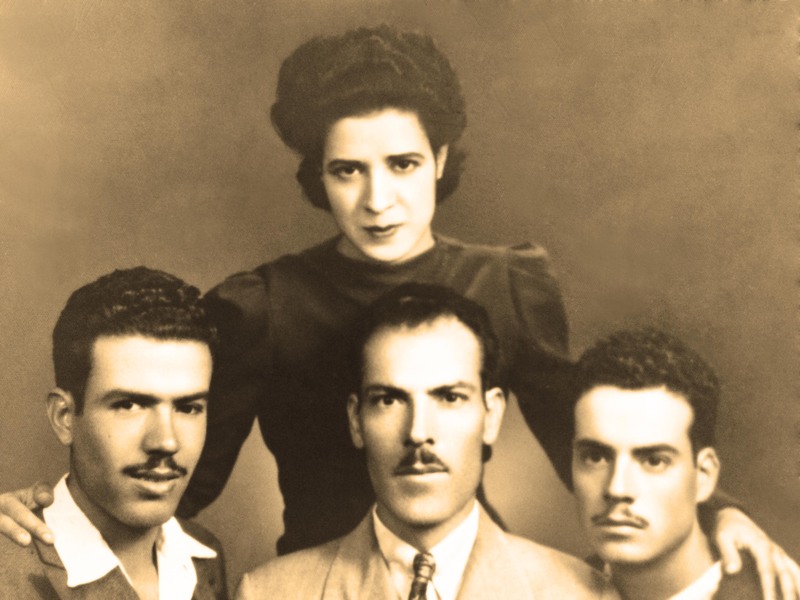 From top and left to right, Nieves “Nancy” Vargas Marin, Alfonso “Pancho” Vargas Marin, Atenojenes Vargas Marin, and Luis Vargas Marin in Mexico, D.F., in February, 1939. 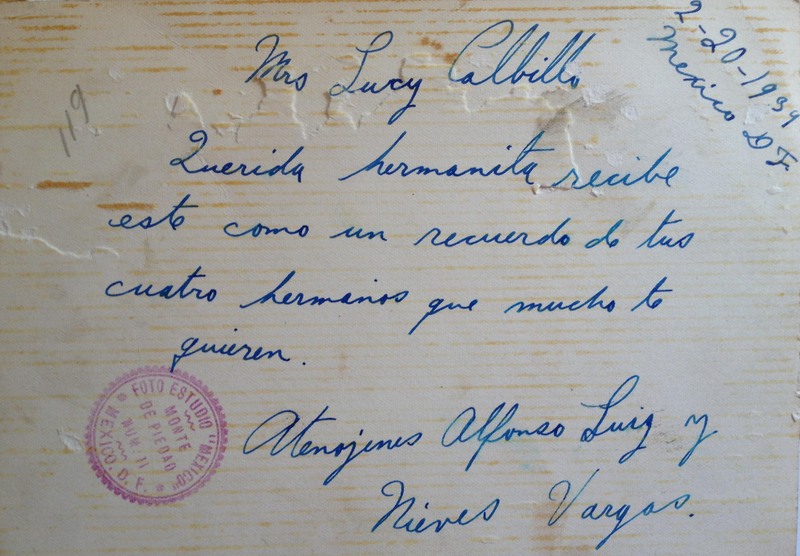 I recently sat down with my uncle Art Vargas to talk about the Vargas Marin side of the family (our common ancestors were Mariano Vargas Ramos — born November 1870 in Ameca, Jalisco, Mexico — and Candelaria Marin Hernandez) and he shared with me the postcard above. It turns out, the Vargas Marin side of my family immigrated to the United States from Mexico in the early and mid-1900s in two waves. The first time around — my best guess this was around 1925-1927, but I have no documentation as of yet — the family made it to the San Francisco Bay Area by way of Texas. It was tough to find work, so after awhile, the brothers decided to move back to Mexico. At that time, the sisters were all already married, so they stayed. Everyone, my uncle said, worked in the canneries. The brothers returned in a second wave during World War II, when there was more work available. But between the two immigrations, judging from the postcard, Nancy visited them back in Mexico.